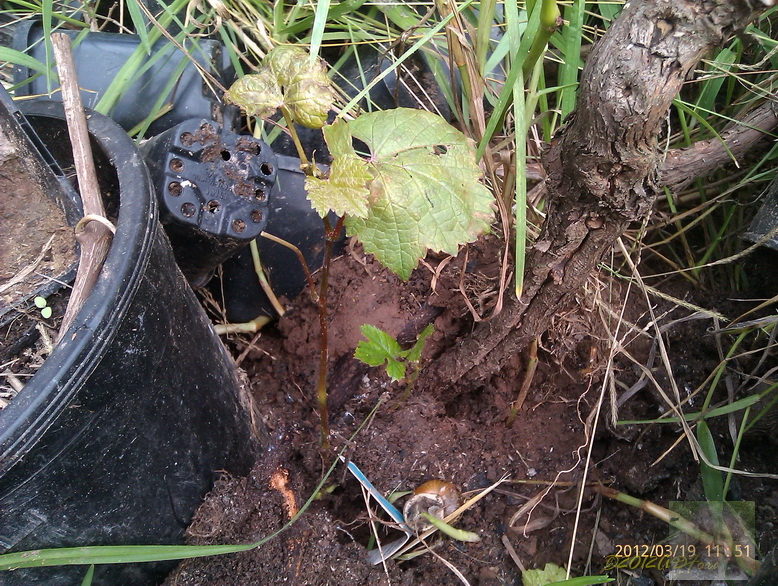 The Portable Vineyard and Alcoholery: Rain, heck yeah. Ah. But the green house.. The other week, you will recall, there was a lot of rain IMBY, all over the Portable Vineyard vines. 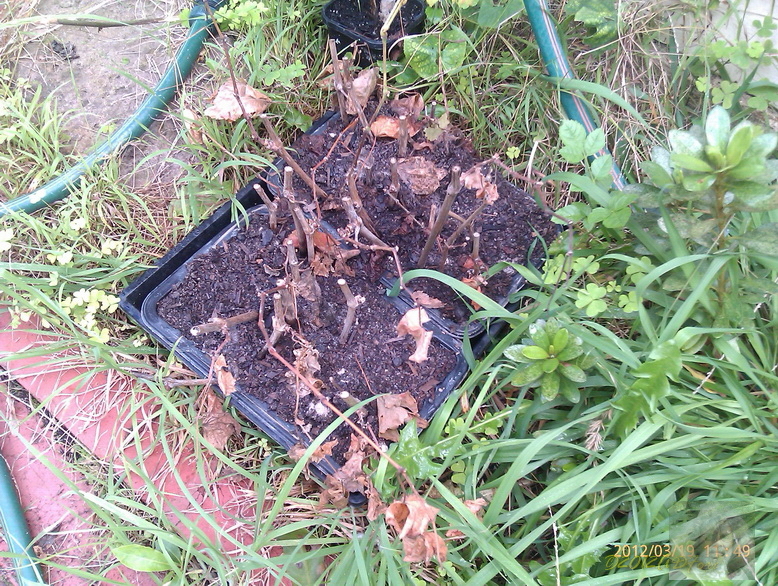 But I did not think of the poor old cuttings! The collection I spent so much time cultivating: weeding, spraying, watering, feeding the last 6 or so months, has ended up in the toilet. With so much water falling freely the greenhouse denizens were completely forgotten about. Not ignored- that means you you know about it, but Forgotten about. Oh dear. When I realised, oh crap. Really disappointed in me. 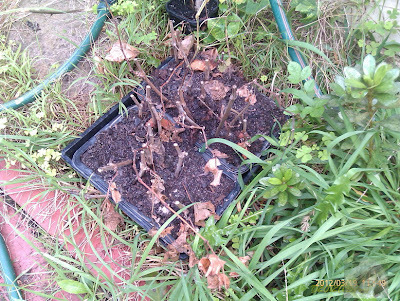 The Pinot Noir may have ONE survivor. 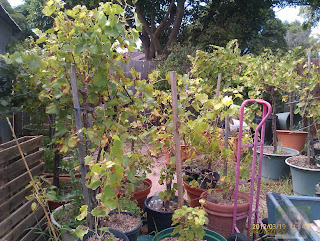 The Shiraz/Syrah in the shallow trays are Dead, but the ones in the pots will be fine. I think. The rest of the vines are fine, sort of. I think that the garage grapes are nearly ready for harvest this week or next, and the Pinot Noir is too. 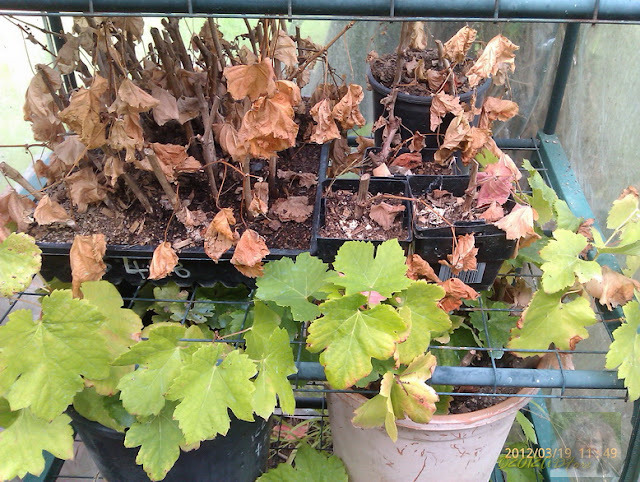 The Shiraz group looks like it has been attacked again by mildew. 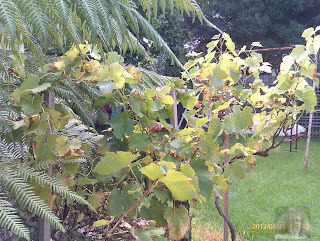 In the next fortnight- Harvest 2012, blow by blow.